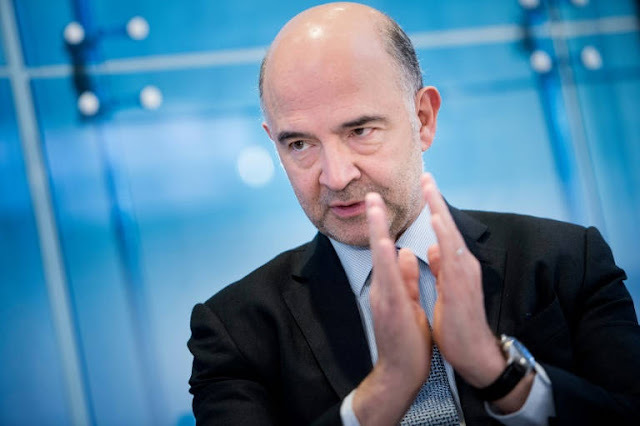 The European Union has no plans to extend Greece's financing program beyond the planned August end date, EU Economic Affairs Commissioner Pierre Moscovici said Thursday. "It is out of the question. Our common goal is to conclude this joint program in time," Moscovici told AFP. "There is no reason to change course... to change the deadline. Greece must conclude its program in the summer," he said in an interview. The comments came after reports from a German newspaper that creditors are considering an extension of the 86-billion-euro program past its August 20 expiration date. Earlier on Wednesday, Greek Prime Minister Alexis Tsipras had also said his country expected to free itself from the debt program by August. The current and third installment of the bailout program began in 2015, six months after Tsipras took office. The International Monetary Fund projects Greece will see economic growth this year of two percent, after just 1.4 percent in 2017. Since 2010, Greece has received three international loans totaling more than 300 billion euro ($370 billion) as well as a significant restructuring of private debt. That was accompanied by strict austerity which brought about a severe recession and mass unemployment, which remains the highest in the euro area at 21 percent. The country reported renewed economic growth only last year after losing a quarter of its GDP. Ratings agencies this year upgraded Greece's debt, citing the country's improving fiscal situation, political stability and economic growth. "Greece is the unfortunate symbol of all that we suffered through for 10 years," Moscovici said. "Ending the Greek program will signify that we have put the crisis behind us." For the Greek people above all, Moscovici said, "this will be the good news that the country itself has also emerged from the crisis and is capable of generating growth and employment." "Let's not allow uncertainties and doubt that have no justification," he added. "Greece is on the right track." 0 Response to "Extending Greece loan program 'out of the question': EU's Moscovici"